Why the CIO & CISO need to work together? 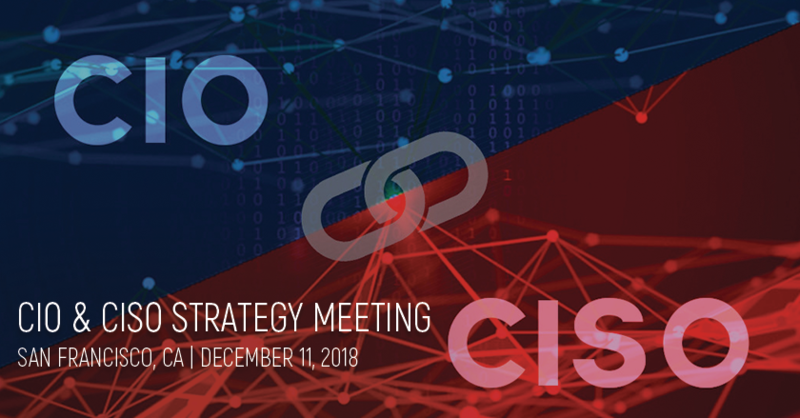 Tuesday, Dec 11, 2018, The Technology Industry gathers at the Grand Hyatt San Francisco for the CIO & CISO Strategy Second annual meeting. Digitization is increasing the threats of the landscape and creating the need for the CIO and CISO to work together more than ever before to operate in the modern industry and to securely transform their organization into the digital age. Our panel of facilitators will lead the attending CIOs, CTOs, and CISOs in a series of group discussions to discuss the shift in the way business needs are met as it pertains to technology, information, and security. Remember to follow us on Twitter @ NCS_Madison #CIOCISOSF2018 and LinkedIn. Visit the CIO & CISO Strategy Meeting website to register. Or contact Jason Walter Jwalter@ncsmadison.com for details. We are looking forward to a great event !